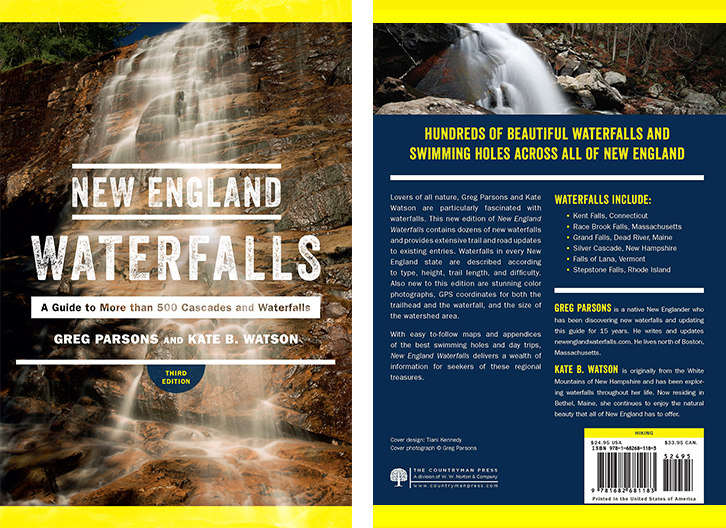 This chapter describes five waterfalls fed by two mountain streams that drain waters from Mount Adams and Mount Madison. Gordon Fall is the first stop on the 2.6-mile loop. 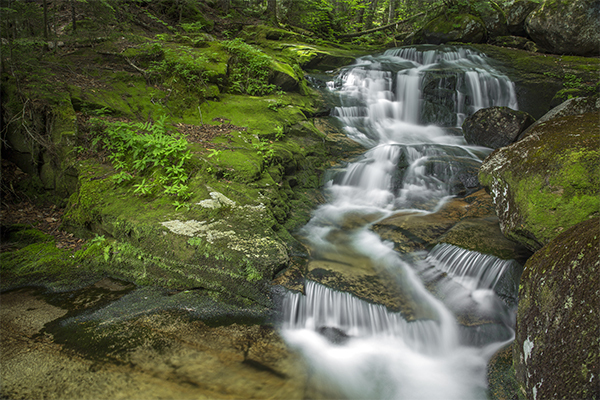 A fanning 12-foot segmented horsetail, Gordon Fall is a well-shaded treat just 150 downstream from where the Maple Walk meets Snyder Brook. 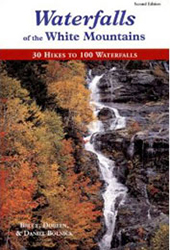 The next waterfall of your journey is Salroc Fall, a two-part waterfall. 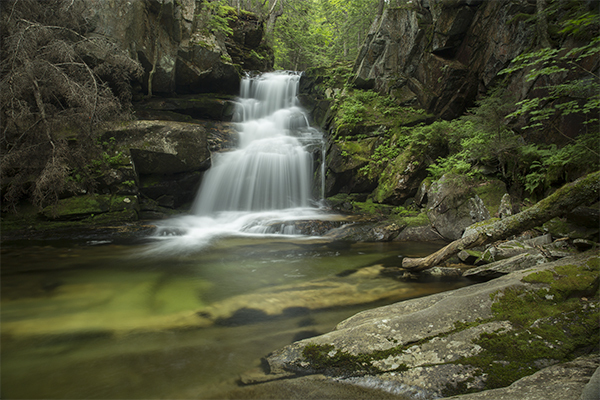 Lower Salroc Fall is a 7-foot drop among boulders. Upper Salroc Fall is only 100 feet upstream from the lower falls and is a pretty 12-foot fan with cascades. 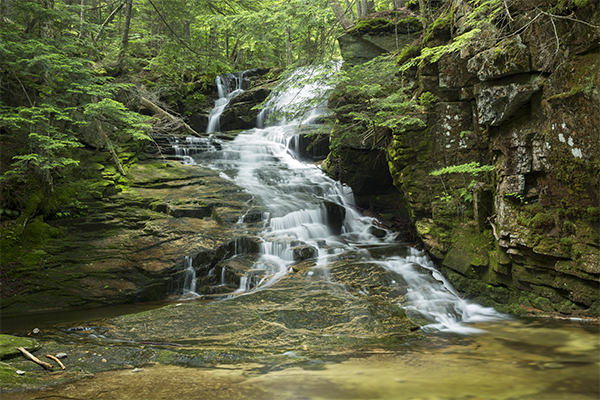 A shallow, jacuzzi-like tub at the base of the upper falls is only a foot deep but still refreshing. .
Tama Fall, the third waterfall of the trip, is 0.25 mile upstream from Upper Salroc Fall. 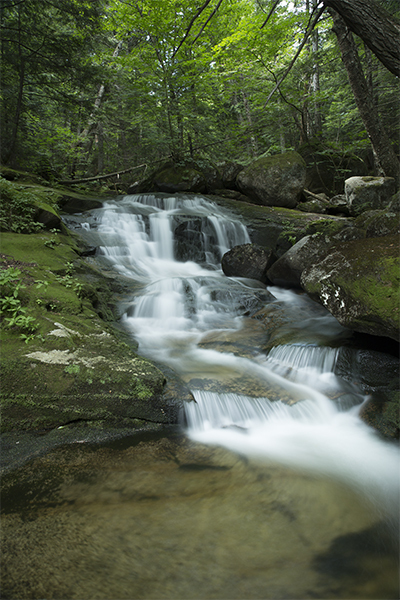 Tama Fall is a 35-foot combination of horsetails and cascades. 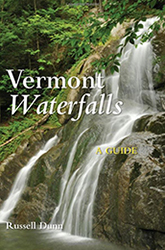 The view from the trail is not sufficient for this waterfall; be sure to follow one of several paths down the riverbank to the brook. From here, you witness a much more visually appealing waterfall, and, as an added bonus you will find a lovely pothole for swimming. Cold Brook Falls is the final falls of the hike. This falls passes through a notch in the rock and dumps 20 feet into a pool. 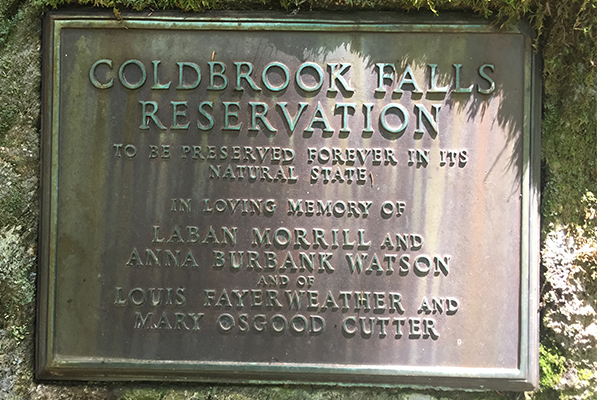 Swimming is prohibited at Cold Brook Falls, as the water feeds Randolph's water supply. 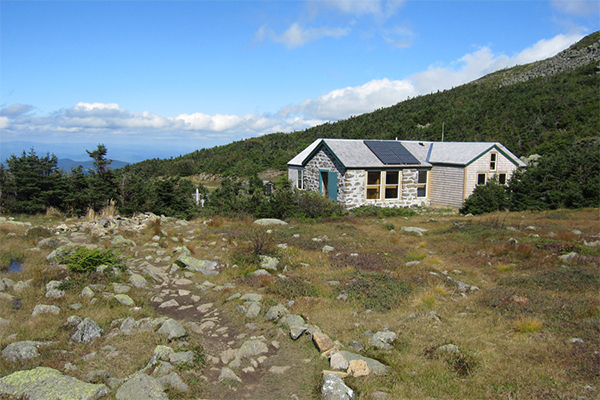 In addition to the falls described above, there are a multitude of named and nameless waterfalls that can be found further up the trails that climb Mount Madison and Mount Adams. 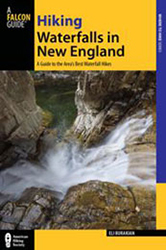 Although these are not described in this guide, some of these falls are quite impressive and provide excellent challenges for experienced hikers and bushwhackers. 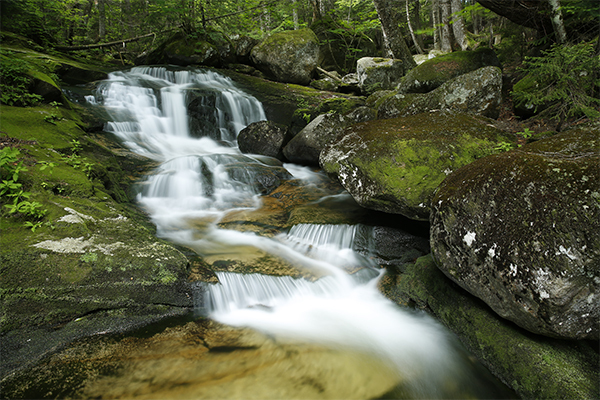 On Snyder Brook, trails will bring you past Salmacis Fall and Duck Fall; further up, forgotten Marian Fall and Thorndike Fall will attract the off-trail wanderer. Spur Brook Fall, Canyon Fall, and Chandler Fall can all be found on Spur Brook, though Canyon Fall will require leaving the path and descending a steep ravine. 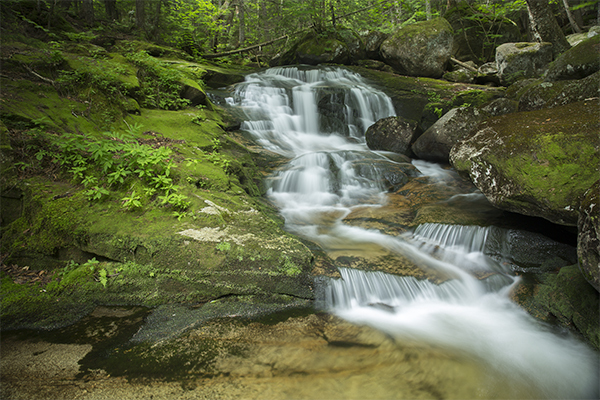 Cold Brook has at least 11 known cascades if you look at old trail maps. 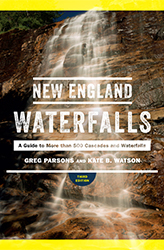 Cold Brook Fall, Secunda Fall, Tertia Cascade, Quatra Cascade, Mossy Fall, and several nameless waterfalls are all located on Cold Brook, though on today's trail maps only Cold Brook Fall and Mossy Fall remain listed. 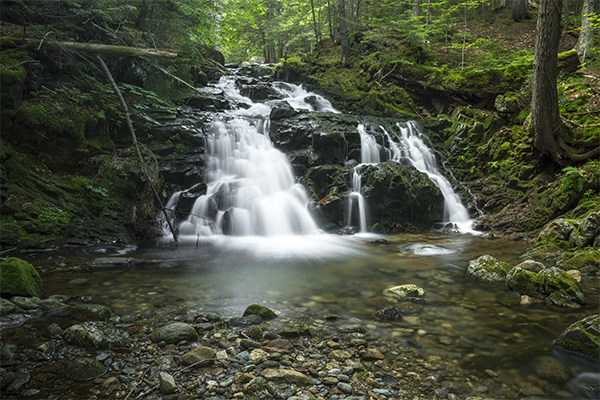 Many of these are considered lost waterfalls, as trails that once led to them have been abandoned. 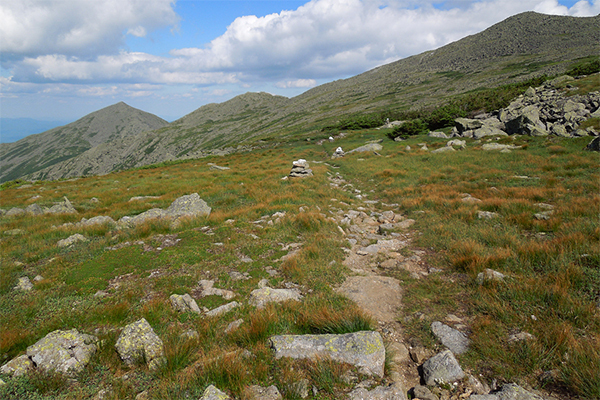 Some never had a trail, as trampers of old often hiked without a path. 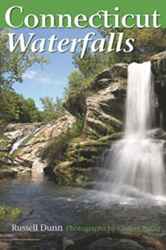 Visiting many of these forgotten falls may require bushwhacks of varying degrees of difficulty. 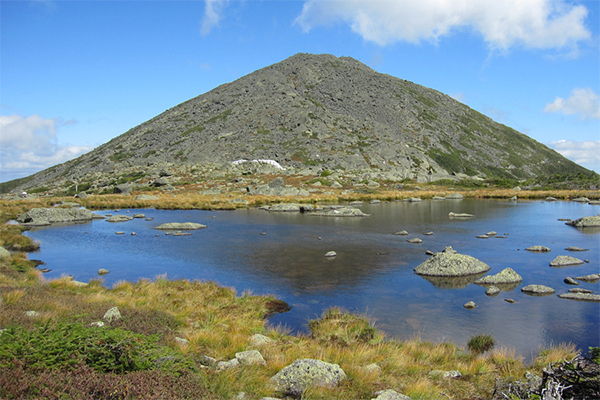 The trails to these four waterfalls can be visited as part of a strenuous day hike to either Mt. Madison or Mt. Adams. 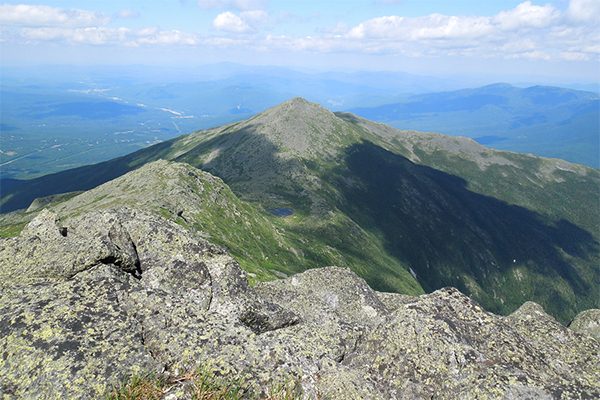 To learn more about these peaks and the trails that climb them, consult the 30th edition of the AMC White Mountain Guide (2017).